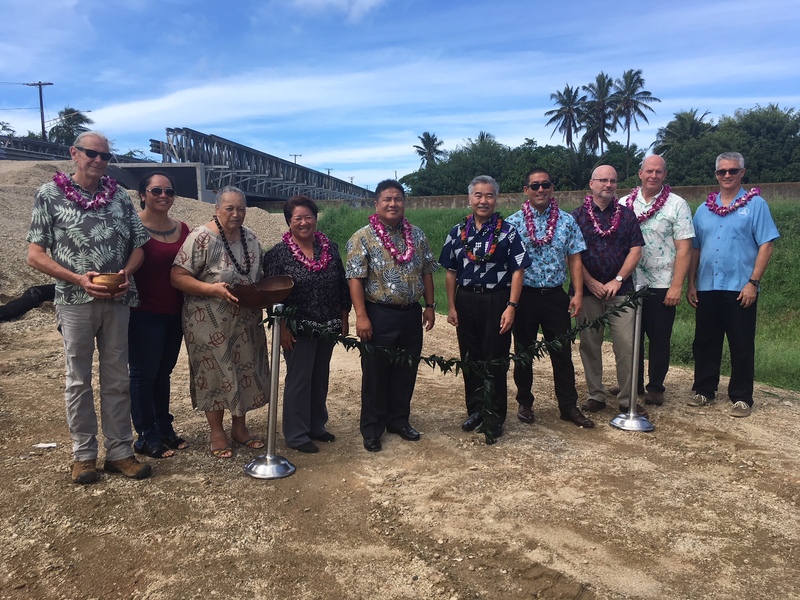 LIHUE – The Hawaii Department of Transportation (HDOT) held a blessing ceremony on Monday, Oct. 1, 2018 to celebrate the start of the Hanapepe River Bridge project in Hanapepe, Kauai. The improvement project is a collaboration between HDOT and the Federal Highway Administration’s (FHWA) Central Federal Lands Division. The Hanapepe River Bridge was built in 1938 and crosses the Hanapepe River on Kaumualii Highway (Route 50) between Puolo Road and Hanapepe Road, near Hanapepe Bay. The new bridge will increase safety and address bridge width, railings, transitions, approaches and load capacity. Upon completion, the vehicle weight limit will increase to 44 tons, up from 34 tons, allowing heavier vehicles access over the bridge. A temporary bypass bridge was constructed to allow crews to work on the permanent bridge. It is anticipated that traffic will be diverted to the temporary bridge by the end of 2018 and will return to the permanent bridge upon the project’s completion in summer 2020, weather permitting. “We are very grateful for our partnership with the Federal Highways Administration which is supporting our effort to replace an 80-year-old bridge that had been rated as poor. We look forward to working with the FHWA on several other statewide highways projects,” said Gov. David Ige. The project cost to replace the structurally deficient bridge is $35.2 million, 80 percent of which is provided by Federal funding and 20 percent from State funding. From Central Federal Lands Tom Bonar, (left to right) Ku’uleimomi Keamoai; Puna Kalama Dawson; Representative Dee Morikawa; HDOT Director Jade Butay; Governor David Y. Ige; Kauai Councilmember Derek Kawakami, FHWA Hawaii Division Administrator Ralph Rizzo; W.W. Clyde & Company Senior Project Manager Alan Preston and HDOT Kauai District Engineer Larry Dill participate in the blessing ceremony for the Hanapepe River Bridge project. 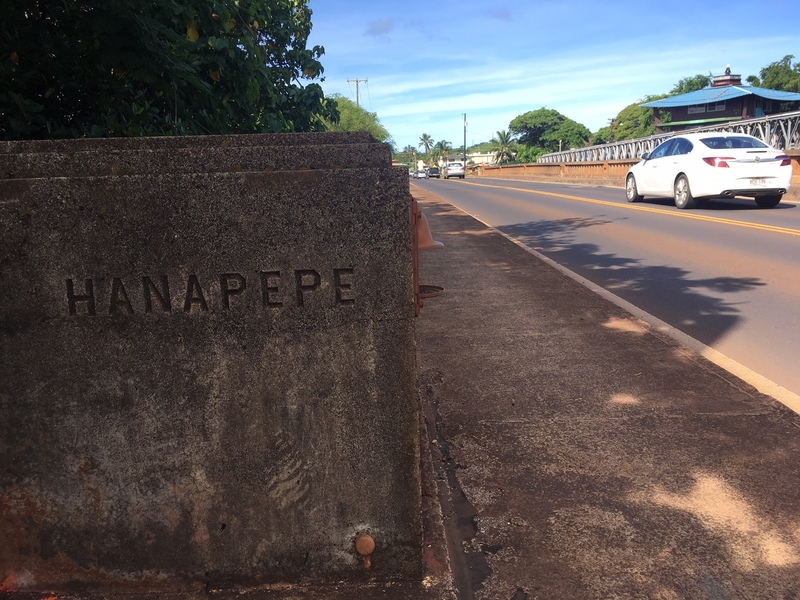 The Hanapepe River Bridge was built in 1938 and will be replaced over the next two years. 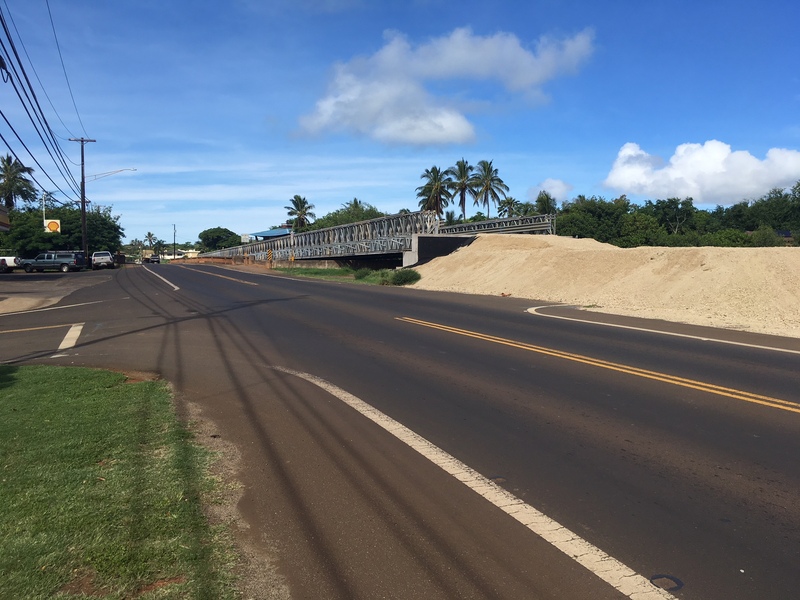 A temporary bridge is being built adjacent to the current bridge to allow vehicles to continue on Kaumualii Highway (Route 50) without impacting construction efforts.